The blinking red of my Blackberry alerting me to a new e-mail catches my attention as I sit on my couch, only a few days after returning from Red Mountain Resort. I’m still happy. Still blissfully happy. I pull up the e-mail on my phone and scan it quickly. It’s from Elephant Nature Park. A letter from Lek. Telling me she wants me to come to Thailand and work for her doing PR and writing. Suddenly, my breath falls short. I open my laptop and pull the e-mail up so I can make sure I am not imaging anything. It is an offer to move to Thailand. To live my recently realized dream. To help save elephants. Immediately, I call my mom. It’s late in Maryland, after 10 p.m. I know she won’t be happy to get a call this late, but I reason this news cannot wait until morning. I mentally cross “Save Elephants” off of my list of things accomplished once I put it out there. “Well, I don’t know yet. I still have to work out all of the arrangements with the park … I guess I will quit in the next few weeks or a month or something …” I say. Although I wish I could march up to the job tomorrow and resign. After we hang up, I sit in silence. Staring at the e-mail, gently stroking Keely behind her ears as she purrs in my lap. My life is changing. And, it’s all because of me. WOW! How thrilling and wonderful. Good for you!! Anything to help animals is a plus in my book. They will be lucky to have you. That’s awesome. It is great that you have the opportunity to do this. Congratulations! What an accomplishment and a great opportunity! Thank you! It is an incredible, life-changing opportunity! I cannot wait to being it! You put your desires out into the universe and the universe listened. This is Very exciting. A path will open for you. The elephants were my favorite at Kruger. I cannot wait to return to the park. Am pretty sure that first day will be incredibly emotional and filled with happiness! Never underestimate what simply putting something out there can do! I am so excited for this next chapter! So very happy for you. It seems like many of the things we talked about at dinner that night are falling into place, helping to align the sun and star to make your dreams come true. Congrats! You’ve got a wonderful road ahead of you. Thank you so much!! I think everything definitely aligned for me … I have to keep pinching myself!! I am really looking forward to catching up with you at TBEX. Love to you! Congratulations. Reading your story has been really inspirational. You learn to love yourself and the universe rewards you with this amazing opportunity. Congratulations on this new beginning, and living the life you were always meant to live. Alouise, thank you so much! I wanted to share my struggles because I know i am not the only one who has ever felt like this. That you think they were inspirational makes me hope others did, too, and they were able to take comfort in knowing there IS a light at the end of the tunnel. And, once you learn to honor yourself, everything falls into beautiful place. I appreciate your support!! That’s awesome! Glad you got to realize your dreams and so awesome to read how everything is coming together. You’ve got some big decisions and huge steps ahead of you but it’s incredibly exciting. Happy to see someone get the chance to realize your dream. So as you take the steps forward, best wishes Diana! All of a sudden, everything just kind of fell in to place. It was such a struggle and to have this be the outcome, I am beyond elated! Thank you so much for the sweet words, Jeremy! What an incredible opportunity. Congratulations! So looking forward to reading about your adventures saving the elephants!! 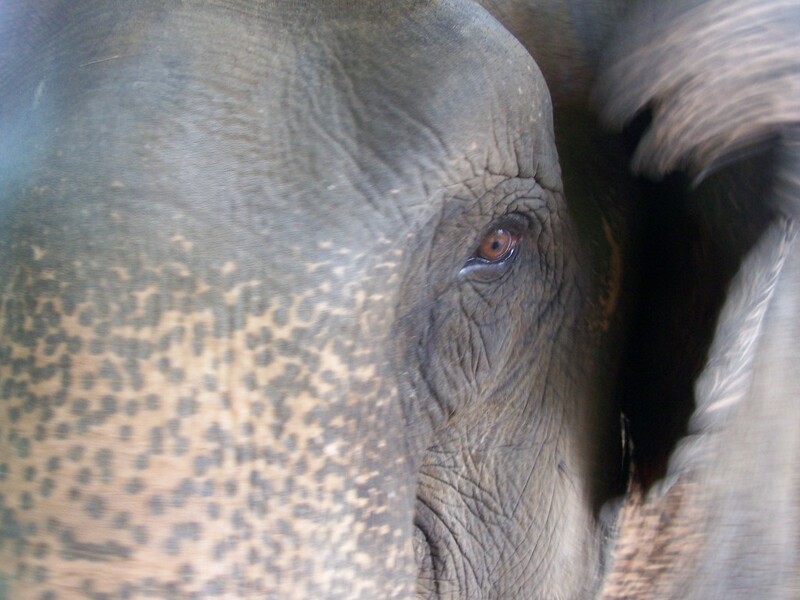 I miss the elephants that I worked with at Muang Kued elephant camp dearly. They truly are incredible animals aren’t they?? Thank you! I am really looking forward to my experience! Elephants are magnificent! Congratulations! My daughter lives in Thailand and she loves it! Her and I will be volunteering at the Elephant Nature Park in the near future. Thank you for your writing to educate people on the treatment of these beautiful animals. Hope you enjoy your time in Thailand! Thank you so much! Where in Thailand does she live? Keep me updated as to when you will be at the Park!